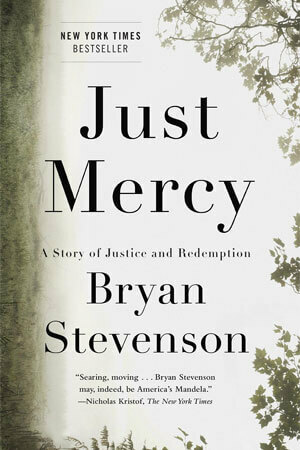 “Just Mercy: A Story of Justice and Redemption” by Bryan Stevenson has been selected as NIU’s Common Reader for 2015-2017. Copies of the book, which was recommended by a team of faculty, staff and undergraduate students from a group of approximately 15 titles, will be available to check out from First- and Second-Year Experience (Altgeld Hall 100) beginning Friday, May 1. The book will be used by first-year students in UNIV 101 (University Experience) and 201 (Transfer Experience) courses. Faculty in other disciplines, such as first-year composition, communication, and the social sciences also will be encouraged to adopt the book for their courses. 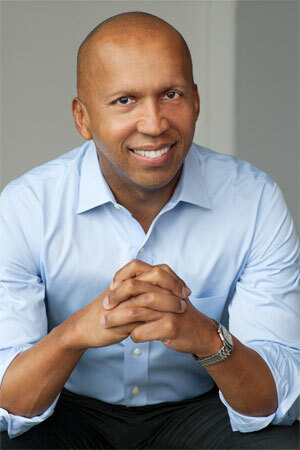 Stevenson is the founder and executive director of the Equal Justice Initiative (EJI), an organization dedicated to fighting poverty and challenging racial discrimination in the criminal justice system, according to TED. EJI just won a historic ruling in the U.S. Supreme Court holding that mandatory life-without-parole sentences for all children 17 and younger are unconstitutional. A graduate of the Harvard Law School, Stevenson is also a professor of law at the New York University School of Law. His is a powerful, true story about the potential for mercy to redeem us, and a clarion call to fix our broken system of justice. He is a public-interest lawyer who has dedicated his career to helping the poor, the incarcerated, and the condemned. His Equal Justice Initiative, an Alabama-based legal group, has won major legal challenges eliminating excessive and unfair sentencing, exonerating innocent prisoners on death row, confronting abuse of the incarcerated and the mentally ill, and aiding children prosecuted as adults. “Just Mercy” is a New York Times bestseller, and was named one of the 10 best nonfiction books of the year by Time. In addition, Stevenson has been named one of TIME’s 100 Most Influential Persons for 2015. Past NIU Common Reading selections have included “The Last Lecture” by Randy Pausch and Jeffrey Zaslow (2008-2010), “This I Believe II” edited by Jay Allison and Dan Gediman (2011-2013), and “Acts of Faith: The Story of an American Muslim, the Struggle for the Soul of a Generation” by Eboo Patel (2013-2015). For more information, call (815) 753-0028 or email fsye@niu.edu.